All therecentpublicity for Anjalee, Auckland Zoo’s newest elephant, has inspired a series of posts about elephants. Heritage & Research team members here at Auckland Libraries have taken this opportunity to explore some elephant related items in our collections, as well as some other famous Auckland elephants. Today we are featuring elephant images from rare books held in Sir George Grey Special Collections. These first two colour plates are from the most recent publication we’ve selected, The Arabian nights: tales from the Thousand and one nights / illustrated by E.J. Detmold. Both plates illustrate the story of Sinbad the sailor. 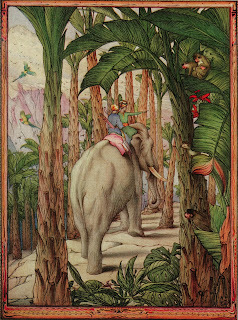 In this version of the story Sinbad is pictured riding on the back of an elephant during his seventh voyage. Ref: The Arabian nights, p. 80, E.J. Detmold, 1924, Sir George Grey Special Collections, Auckland Libraries, IL:1924 DETM. The fine brick-and-tile Ōtāhuhu Methodist Memorial Sunday School is a rare but impressive example of a Methodist war memorial building. It stands behind the Ōtāhuhu Methodist church in Fairburn Road. Ref: Bruce Ringer, Ōtāhuhu Methodist Memorial Sunday School, 2013. “Ōtāhuhu Methodist Memorial / Sunday School / - / This stone was laid / to the glory of God / by Revd. E. Drake, President of Conf. / on Feb. 28th 1920 / - / Feed my lambs”. The majority of the F. Douglas Mill Collection contains images which represent some of the first civil aerial photographic surveys in New Zealand, the images range from the late 1920s to the middle of the 1930s and document the country at that time from the Bay of Islands down to Waimate and Dunedin. 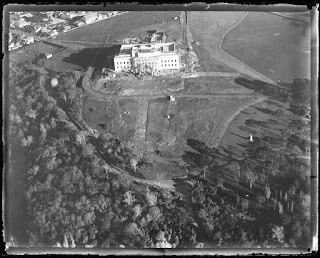 Ref: F. Douglas Mill, Auckland War Memorial Museum under construction, from the air, 1929, West Auckland Research Centre, Auckland Libraries, FDM-0544-G. 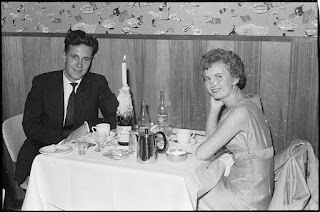 It is 1964 and the world is your oyster. 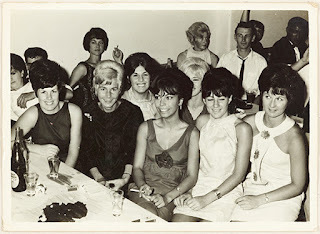 These young women are enjoying themselves at a friend’s 21st birthday party in Ōtāhuhuin 1964. By 1911 New Zealand women had voting rights for nearly two decades, while their UK sisters still battled for their rights and a voice. The Women's Freedom League incited members with its Manifesto to " … oppose, hamper, destroy if possible, the power of an unrepresentative Government to govern women, refuse to be taxed, boycott the Census, refuse all official information until women have won that which is their absolute right - the right of a voice and vote." The Women's Freedom League initiated a boycott of census day, Sunday 2 April 1911, to protest their lack of rights to vote. 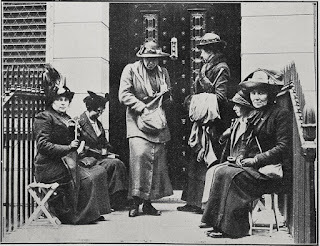 These suffragette evaders refused to have their names added to their own household registers, effectively 'vanishing' from the census while many left their homes for the day. Evaders such as Louisa Burnham defiantly wrote the words "No vote, no census. If I am intelligent enough to fill in this census form I can surely make a X on a ballot paper" across the schedule. Today, 8 August, marks the 100 year anniversary of the Battle for Chunuk Bair. The battle, which took place from 6-10 August 1915, was New Zealand’s most significant action in the Gallipoli Campaign. 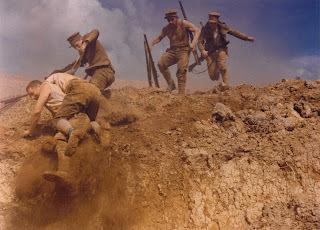 To help commemorate the anniversary of the battle we are taking the opportunity to look back on the premier performance of Maurice Shadbolt's only published play, Once on Chunuk Bair. The first performance of Once on Chunuk Bair was given at Mercury Theatre, Auckland, on 23 April 1982. The play was directed by Ian Mune and designed by Richard Jeziorny. Do you have Huguenot ancestors? Yes? Then you will be interested to know that we added these new CD-ROMS to the family history collection this week.